This program offers financial education and counseling services to Missouri Masons, Eastern Star members, and their family members through individual consultations and group presentations. Our Accredited Financial Counselor can help you address financial concerns or help you prepare for expected expenses or transitions. 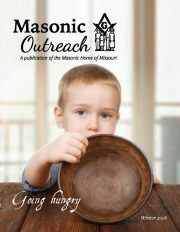 In Fiscal Year 2018, the Masonic Home provided financial counseling to 65 cases. The majority of the clients in this program receive regular, one-on-one counseling with the Masonic Home’s Accredited Financial Counselor. Our Accredited Financial Counselor also provides educational group presentations on many financial topics. These free presentations are an excellent resource for your local Lodge and Chapter members, Masonic widows, and Masonic youth organizations, as well as local youth and community members. There are no age and length of member­ship guidelines to take part in this program.